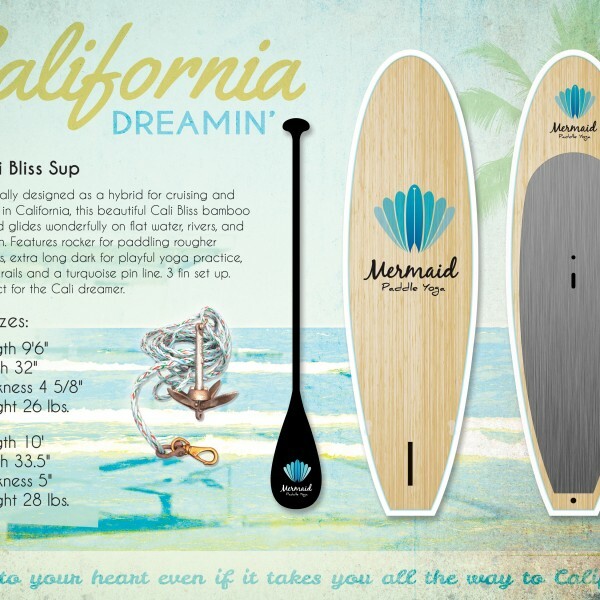 Specially designed in California as a hybrid for cruising and yoga, this beautiful bamboo Cali Dreaming stand up paddle yoga board glides wonderfully on all bodies of water. 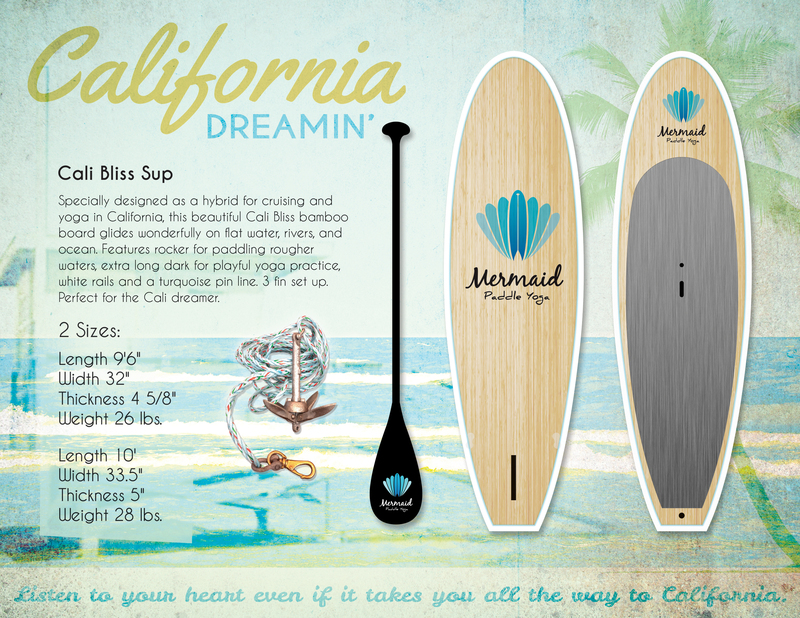 Features include front rocker for paddling rougher waters, extra long deck pad for a playful yoga practice, and 3 fin set up. 9’6″ by 32″ wide and 4 5/8″ thick. Weight 26 lbs. 10′ by 33.5″ wide and 5″ thick. Weight 28 lbs.